$257.39+ X99 Micro ATX Build - "Blackout"
This is the first and only mechanical keyboard that I own. I love it. Pros: It's mechanical, I love that it makes so much noise that I can wake up my brother easily (vengeance! vendetta!) :3, Razer Green switches, it's Razer (OK? ); Razer logo and scroll lock, caps lock, macro editing and gaming keys with back-light (all green except from the macro editing key, which is red); the package, the sound of the keys, the construction of the keyboard, black mate color, it's tenkeyless (so, it's small), "cheap", gold plated USB, no drivers required :'D!, ultra durable, stickers. Cons: USB 2.0, not all the key with back-lighting :( , hasn't got the letter "Ñ" (I'm from Argentina, not Mexico, you English speakers), 60 grams force/strength! Nice mechanical gaming keyboard. 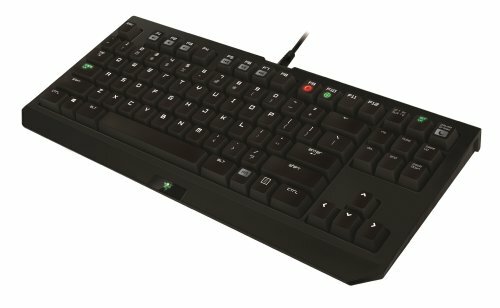 I picked the tournament edition of this keyboard purely because i never use the numpad and fits alot nicer on my desk. After 6 months of constant use, my W and L-Shift keys no longer click like they should. 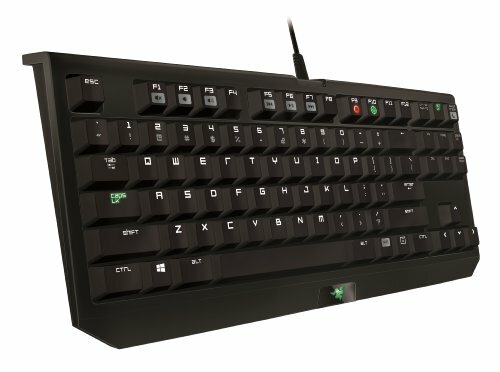 The Razer switches aren't better, they're just cheaper and less reliable. The usb cable in the back likes to fall out at random. When it does, almost exclusively during Rocket League, I plug it back in and my fps goes to **** and keyboard doesn't work for a good 15 seconds. Perfect size, good quality. Another outstanding Razer product. I took off one star for two reasons: 1) I've missed a num pad a couple times; and 2) I would prefer a dim backlight occasionally. The Razer Green switch is excellent, though. It's a bit loud, but those keys are like popping bubble-wrap! Sometimes I just disconnect it (the cable pops off from either end) and press my palm into it. 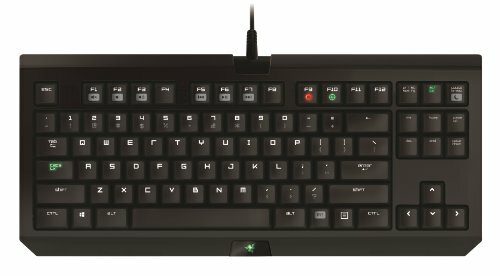 Nice keyboard for any gamer, the razer keyswitches are very nice to hear and to feel. It's good for me as a typer and a gamer. It's also quite small which is handy sometimes. I've had it for 3 years now, still works as new. 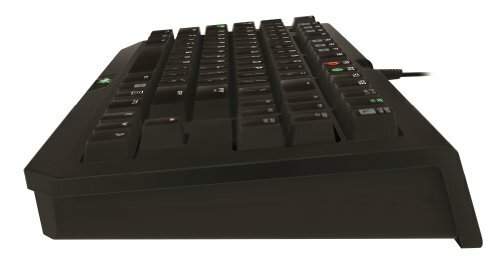 Great clicky mechanical keyboard if you don't need expensive RGB illumination. It also works well with Mac OS, unlike the Corsair keyboards I've tried. I use it mainly for typing and it works very well for it. I however recommend the HyperX Cloud headset if you want to block out the sound sometimes.